Cousins Laura and Sam wanted to make fun, great tasting popcorn with combinations of which no-one else in the market has achieved. 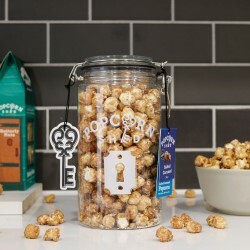 They serve up gourmet popcorn using innovative flavour concoctions and textural inclusions. 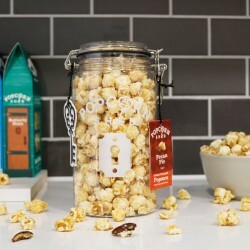 Whether it's whole roasted nuts or melted Belgian chocolate, their tasty treats are more than just popcorn. 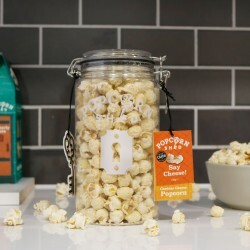 Their suitable for vegetarians popcorn has texture, ensuring they give you delicious, tastebud-tantalising joy from every mouthful. Sunday Times Food likes their Pecan Pie popcorn!